Let Highlands Arrivals work exclusively for you as your buyers agent, to understand what is important to you, and provide a shortlist of suitable properties that are in the right area, the right streets and could be the right property for you! I can coordinate your visits to see the best properties bit on and off-market and will save you time and money and reduce your search, greatly reducing the amount of trips you need to make here to find a place. I am a licensed Real Estate Agent and am completely independent, acting as a buyers advocate with all of the agencies, so I have access to properties off-market and also properties about to come onto the market. I can also talk to the agents about any properties about to drop in price currently on the market and get in early for a great bargain. 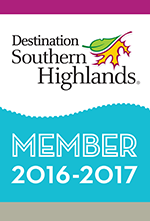 I will provide information on activities and clubs to make sure you get involved in the amazing community that is the Highlands! I can also provide information on reputable services such as mechanics and vets, and there is a wide range of highly skilled health practitioners available in the Highlands who often have both a Sydney and Highlands practice. Highlands Arrivals can reduce the typical time it takes to find a property, typically 6-12 months, to a few months. I am completely independent and work only for my clients, the purchasers, so will ensure we find you the right property. I have a large network of agents I can call to find properties both on and off-market. Many properties in the Highlands sell before they even reach the internet, and the ones that do are often sold in the first week, so I can be there look at the properties and act quickly on your behalf.Are you looking to retire in the Highlands and enjoy stress free country living whilst being close enough for day trips to Sydney? If your current home too large with too much maintenance the Highlands can offer a large choice of homes, fresh clean air, cooler weather, beautiful gardens, light traffic and interesting pursuits. You can catch a train to Sydney for under $3* and it's very do-able as a day trip. The Highlands are a wonderful place to retire to, with a friendly, active community, beautiful weather, and great facilities. There are any number of low maintenance homes and a choice of peaceful towns each with their own unique personality. Let Highlands Arrivals help you find your home in the Highlands!